AB 178 would provide that out-of-state companies which maintain a network in California and thus have a presence in the state would therefore be required to collect sales tax on orders received from within California. New York passed a similar law, and was sued by Amazon.com. The New York Supreme Court dismissed Amazon’s claim, based on an extensive body of legal decisions defining the nature of nexus and upheld New York’s right to levy the sales tax. Needless to say this has some people concerned. A lot of the discussion on WebmasterWorld was related to just how far-reaching the impact of this new tax law might be. I have several friends in California and caught up with one recently. We spoke about the economy and he explained how bad the economy was there. The state’s unemployment rate is now over 10% and California has been one of the states hardest-hit by the foreclosure crisis. Thanks to a massive budget deficit, taxes are being increased. The sales tax in the state is going up on April 1; some areas will have sales tax exceeding 10%. Added on to an already unfavorable corporate tax structure and high cost of living, I asked the obvious: how can a business survive? Maybe I’m missing something but given the economics of running a business in California, it seems to me that you’d have to be crazy to want to set up shop there. Instead, it seems like it’s one of those places you’d actually want to avoid it like the plague. 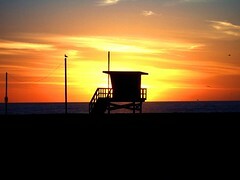 Obviously there are some intangibles to California and the California lifestyle carries a reputation around the world. But innovation can take place anywhere and there are plenty of great locations with equitable tax regimes and reasonable costs of living. If the economic situation in California continues to spiral out of control and it becomes prohibitively costly to run a business, I can’t help but think that California’s days as the world’s tech hub might just be numbered. Argos has decided to launch a standalone site selling just CDs, DVDs and Blu-ray discs, though confusingly, DVDs can still be purchased through the main website. WHSmith announced a similar move a few weeks ago, moving its entertainment range to a separate site after already reducing the number of DVDs, CDs etc sold in its stores. 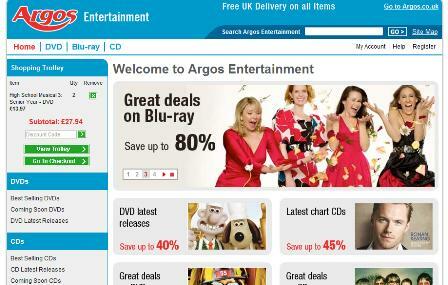 Like the new Argos site, it was designed and operated by The Hut, which also took over the Zavvi website recently.